Nestled on an unsuspecting corner in Los Feliz, Co-op 28 is an alluring place starting with its crimson red doors and graphic sign by artist Keri Rosebrough, and continuing on with its shelves upon shelves of unique, unlikely trinkets. 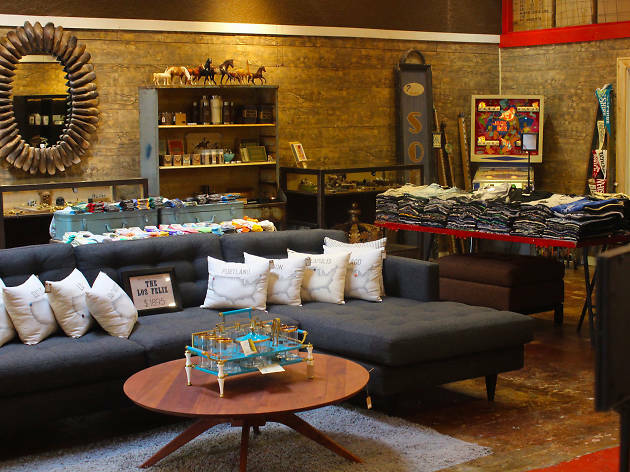 Browse through the boutique for finds both old and new from over 130 artists and makers, inlcuding handcrafted jewelry, vintage apparel and glassware, bed and bath items, handcrafted cards, and home decor. Locally crafted art and subway signs adorn the walls, while the shop's locally made furniture line, aptly titled The Los Feliz Collection, holds center court. Co-op 28 has everything from great cards, t-shirts, handmade jewelry, cool art for your walls, great smelling candles, locally made furniture that's affordable and cool vintage finds. I've bought so many great gifts for others and myself of course from this shop over the years and recommend it to my friends all the time. Co-op 28 has some of the best selection of gifts and home decor not just in Los Feliz, but in all of Los Angeles. It's clear they take a great amount of time to curate their items and to top it off, they have incredible furniture that you can customize and it's made right here in LA. Local is better when it's done Co-op 28 style! 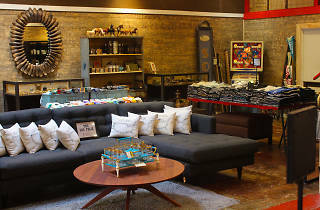 A well-curated, quirky boutique in the heart of Los Feliz, a great spot to look for that perfect piece of home decor, unique tchotchke, or meaningful card. Things run towards the more expensive, but the selection of everything from clothing to candles is of high quality, substance and aesthetic-wise. The careful attention to arrangement makes this a great store to browse, even if you're not looking to buy.